layout with up to five passengers and a pilot. as onboard toilet and a fridge for refreshments. 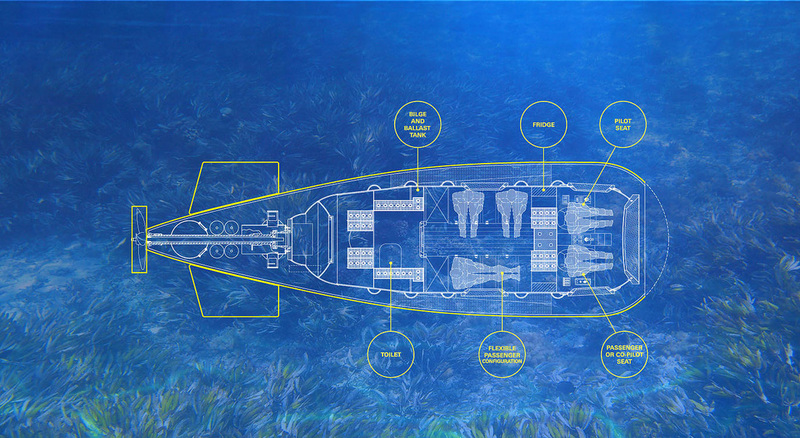 The SY-6 Sub is an all-electric manned submersible designed to operate in conjunction with a mother-ship for launch and recovery. It offers super-yacht owners the opportunity to experience a dimension usually reserved for explorers and marine scientists. 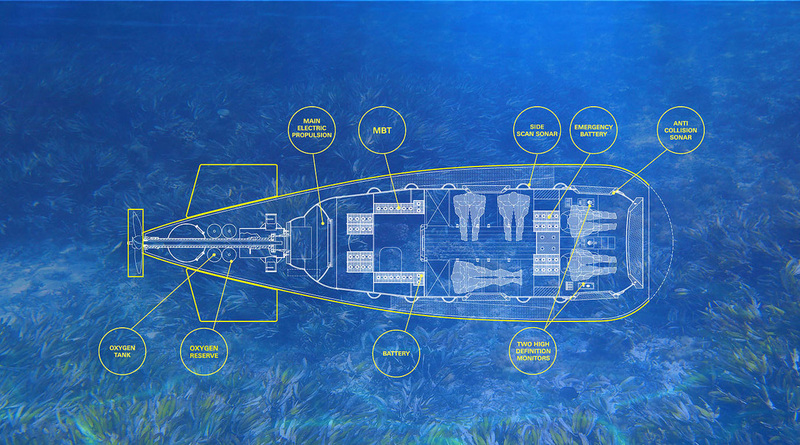 The SY-6 Sub has been thoroughly tested to the maximum operating depth of 160 metres. It is fully compliant with International and US Coast Guard regulations. Retractable hydraulic entry hatch. Low distortion flat forward and side view-ports. Long-range capability. Super-comfortable interior. Powerful main stern propulsor.